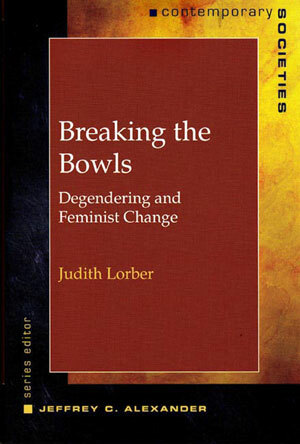 In Breaking the Bowls, the sequel to Paradoxes of Gender, Judith Lorber shows the cracks, anomalies, and resistances that are breaking down the gendered social order in Western post-industrial societies and lays out how we can take this process further by deliberate degendering. Lorber argues that it is time to rebel against gender as a social institution—to challenge its basic processes and practices. Feminists have tried to restructure and change the dynamics of interaction between women and men, but they have not pushed their agenda to the point of calling for the abolition of gender boundaries and categories. Breaking the Bowls explores why undoing gender must be the ultimate feminist goal and how that goal can be reached. Breaking the Bowls is part of the Contemporary Societies series.